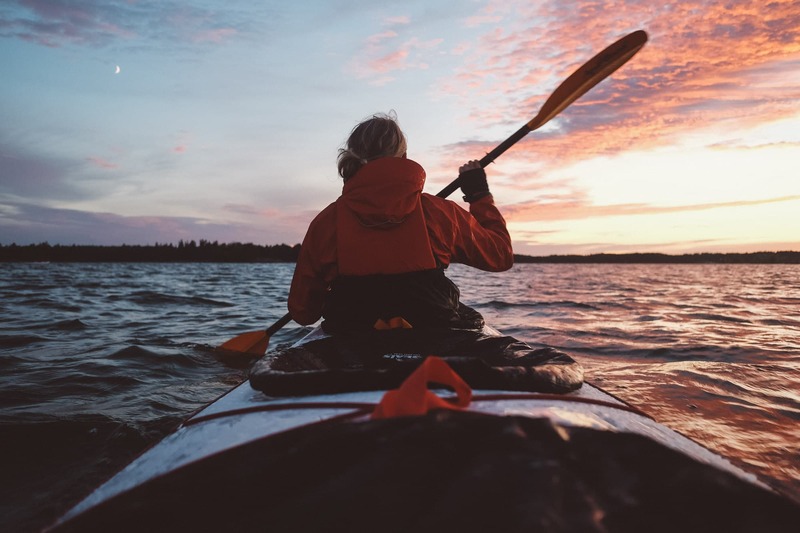 This is a wild self-guided kayaking holiday – you’ll quickly find yourself far away from civilisation completely surrounded by water and wilderness. Thousands of islands, almost all of them uninhabited…you feel free, it’s as simple as that. 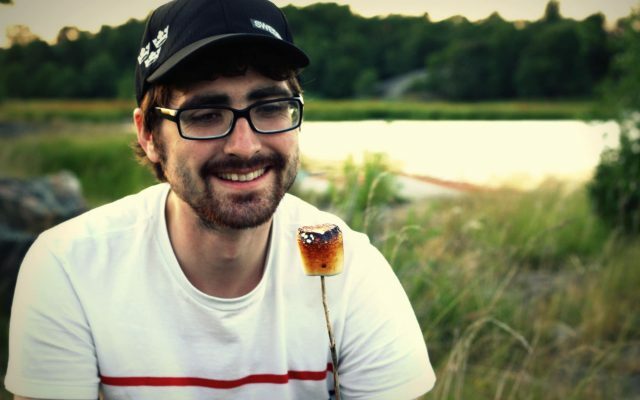 After well over a decade of gearing up hopeful adventurers, we have landed on the very highest quality equipment. 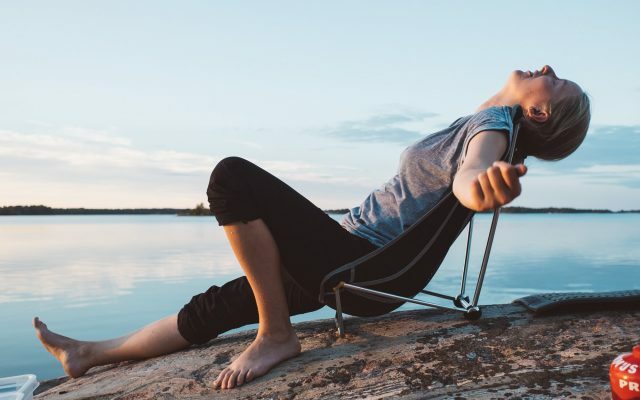 It’s sure to bring you comfort in the wild, no matter what Mother Nature throws your way! A bird lovers paradise with a variety of habitats for common and rare sea birds. Spotting White-tailed eagles soaring high up in the sky is almost a given. If lucky, you’ll see seals bobbing their heads above the water. 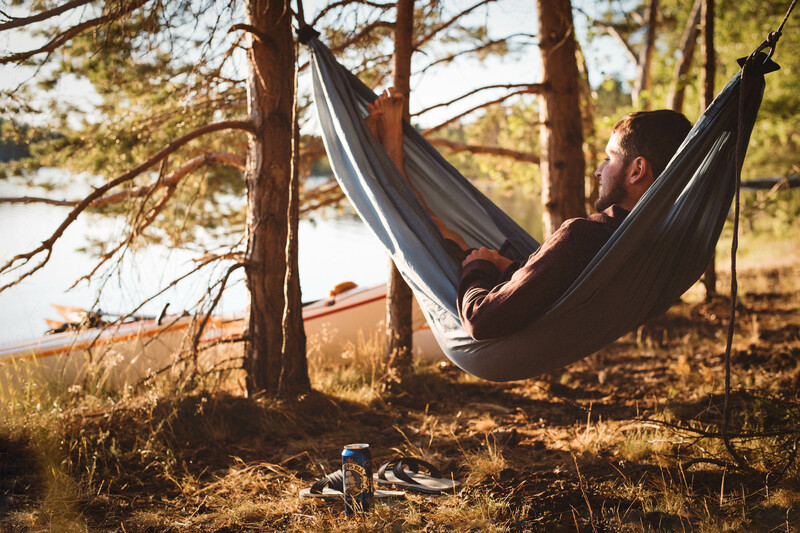 Look for that perfect spot and make the island your own for the night. Take a dip in the sea, cook up delicious meals, enjoy glorious sunsets. You’re all alone in the wild and it’s absolutely beautiful. You will get plenty of solitude and wilderness on your adventure, but the area has also been home to fishermen, farmers and seafarers for centuries. Our detailed guide book will help you explore. We provide all kayaking, camping and cooking gear needed. 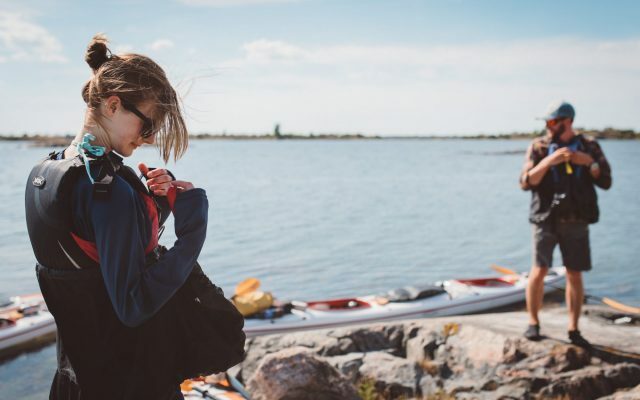 On site we help you pack and give instructions on paddling, navigation and the area. Return transport Norrköping-Saint Anna included as well as access to our comprehensive food order system. Departures: Arrive Mon-Sat, depart any day of the week. 23 May – 25 Sept.
Prerequisites: Must be able to swim and have a taste for adventure. Weight limit; 120 kilo per person. Beginners are welcome! Payment: We charge 1,000 SEK deposit per person at the time of booking. Remaining balance is due 2 weeks prior to your trip. Launch and finish at different spots, three locations to choose from! This makes it easier to adapt your route to prevailing weather conditions and cover more distance. Our launch site Mon is located in a sheltered bay – soon you round the first islands and see a maze spreading out in all directions. 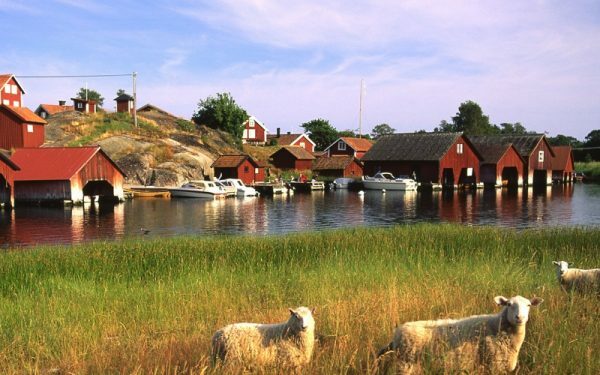 On your way northeast towards Aspöja you’ll pass many clusters of pretty islands. Different types of ducks, swans and Grey herons breed around here, and White-tailed eagles are a common sight – they nest in large trees nearby. 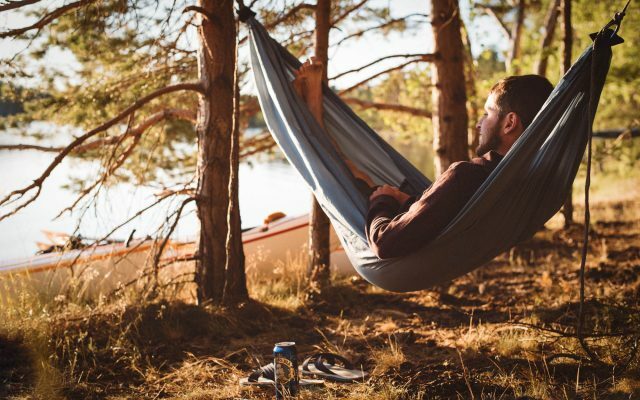 Continue through the Uggelholmarna Nature Reserve, a perfect spot for a break. Pine and linden trees up to 300 years old grow here, and the open glade-filled forest is great for a short stroll. Head east aiming for the narrow inlet between Lammskär and Kalvskär, where you’ll end up surrounded by the beautiful and sheltered atoll formation of islands. 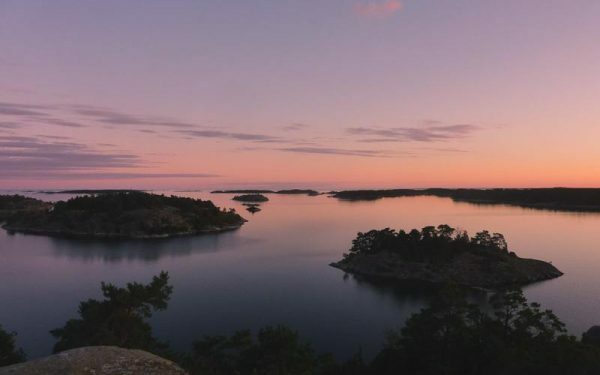 After paddling across a short strait north, you reach the little islands south of Aspöja, arguably one of the most stunning settings of the archipelago with amazing sunset views. Today is a gorgeous paddle southeast through the outer archipelago and its barren wind-pined little islands. Start by going east past the bird sanctuaries around Torrskär and Stångklabben. Massive colonies of Herring gulls breed here and you may spot waders like Oystercatchers and Redshanks. 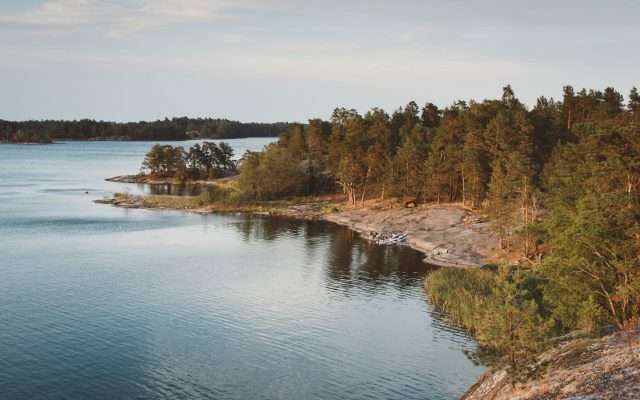 Continue south to the surprisingly lush birch islets around Melskär and Kalskär. In early summer, thousands of Eiders can be heard from the outer skerries. 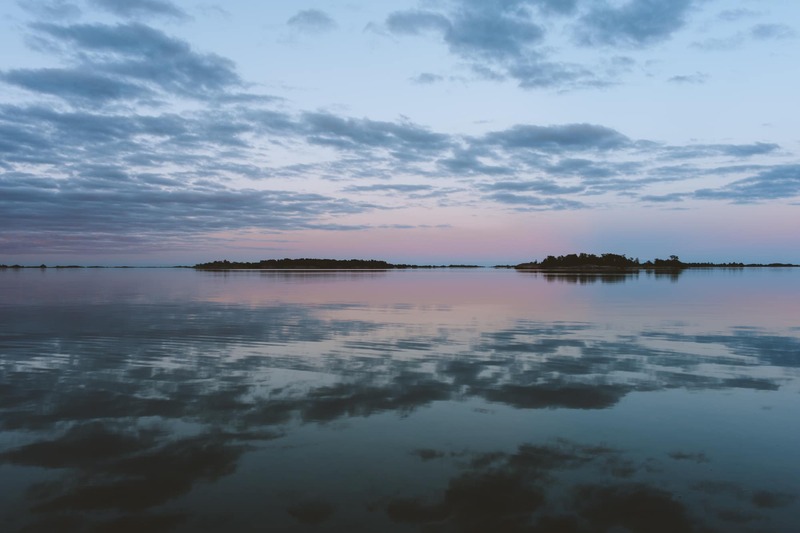 You’re right on the border of the Missjö Archipelago now, where clusters of hundreds of islets and skerries stretches south for ten kilometres. The blue horizon of the open sea is your backdrop and it’s absolutely stunning out here. Hopefully you spot Ospreys, Great Cormorants and Arctic skuas along with many other types of birds. Seals sightings are regular around Norrbådarna and Ådskär. After a strenuous day you reach the famous navigation mark Kupa Klint. 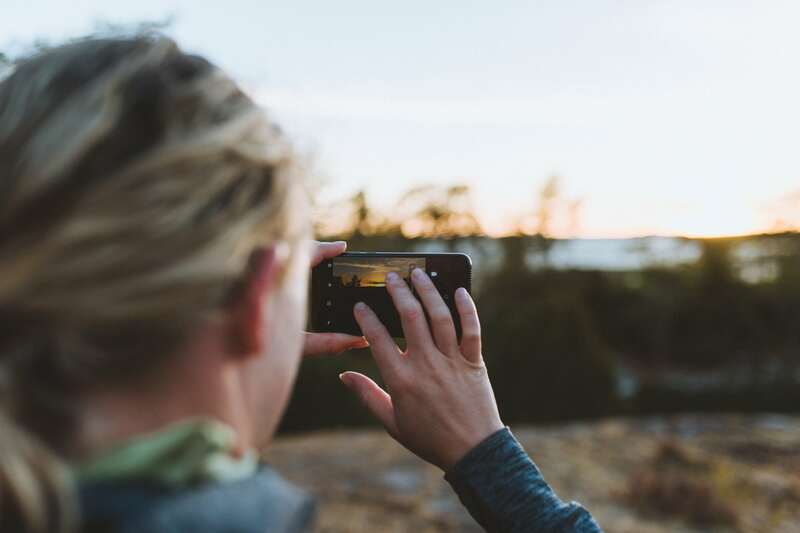 It’s a great lookout with spectacular views of the archipelago. Inside the outer band of skerries is the large island Missjö and its parallel islands. There is a rustic pub on Missjö run by local boat taxi man Mats. 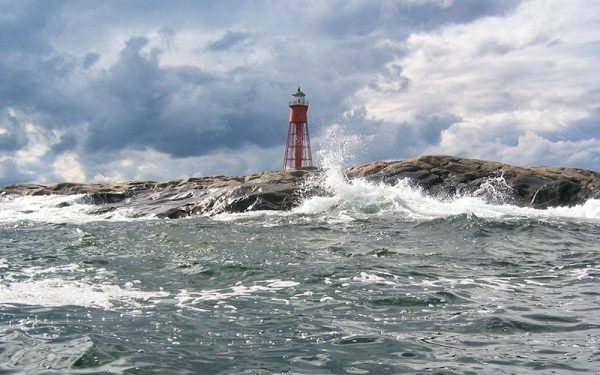 Paddle south towards the most visited point of interest in the area – Harstena Village. You are greeted by an idyllic view of the village as you paddle a small inlet to the water-side restaurant. Harstena is renowned for its picturesque and historic beauty. Visit the museum at the old school, munch on heavenly delicious cinnamon swirls from the bakery and enjoy a meal of delicious archipelago fair at the restaurant. West of Harstena you find Torrön with its mosaic of islets. It’s an incredibly beautiful sheltered area with shallow waters, smooth rocks and calm creeks – perfect for swimming and sunbathing. Be sure to look down to see the bladder wrack forests on the rocky bottoms. More dramatic scenery awaits to the west. 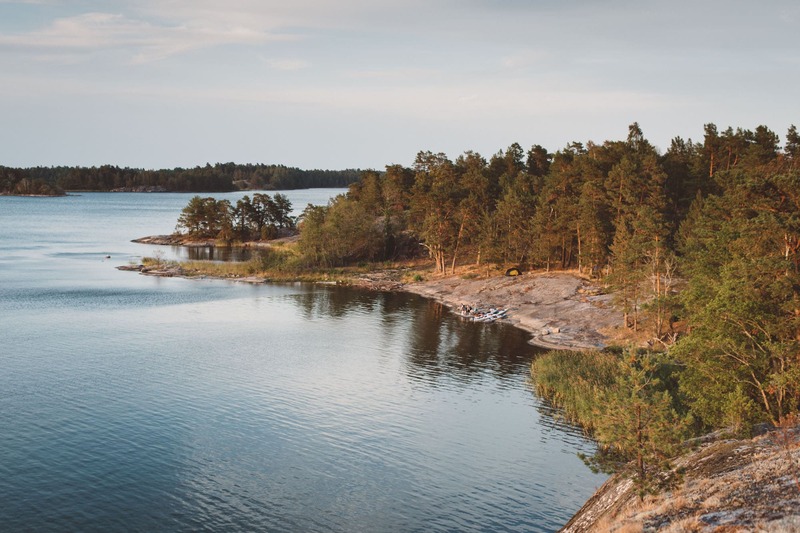 A narrow strait takes you to Väggö, where steep rock walls crash almost vertically into the water. Ämtö Nature Reserve is located to the west of Väggö on the same landmass. Ämtö bare many signs of farming in the past – centuries of grazing has made for open light-filled forests. There are several hiking trails through old agricultural landscapes, rocky pine forests, oak meadows and wetlands. Round back up to the eastern side of Håskö to visit one of the few traditional homesteads left in the area. They run a small-scale fishing operation and are renowned for their fresh deboned perch and alder smoked salmon. 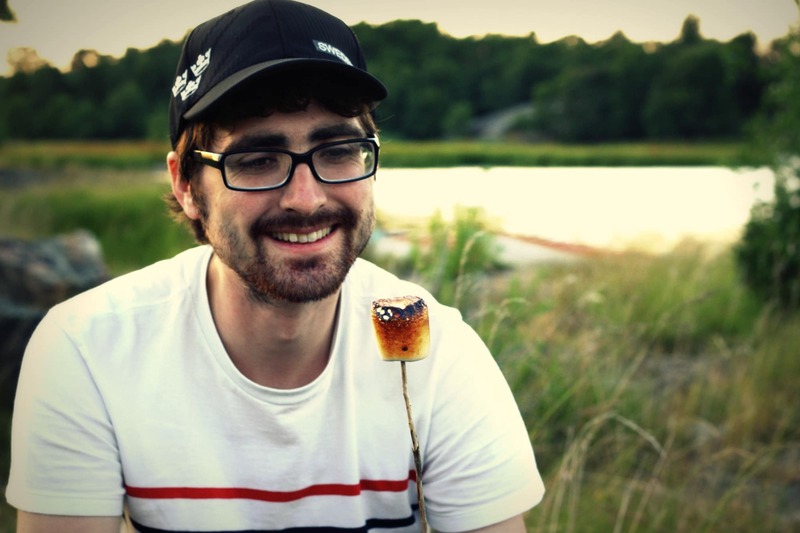 There is a self-served wood-fired sauna right by the waterfront at a very reasonable price. 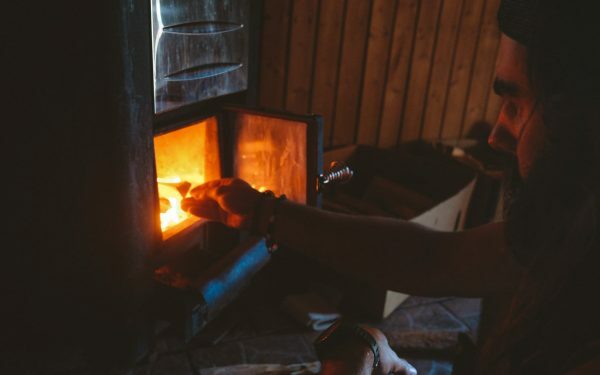 Firewood is piled behind the sauna and you cut and replenish as much as you used. You can also relax in a wood-fired hot tub, but it takes a while to heat up so make sure you call in advance. 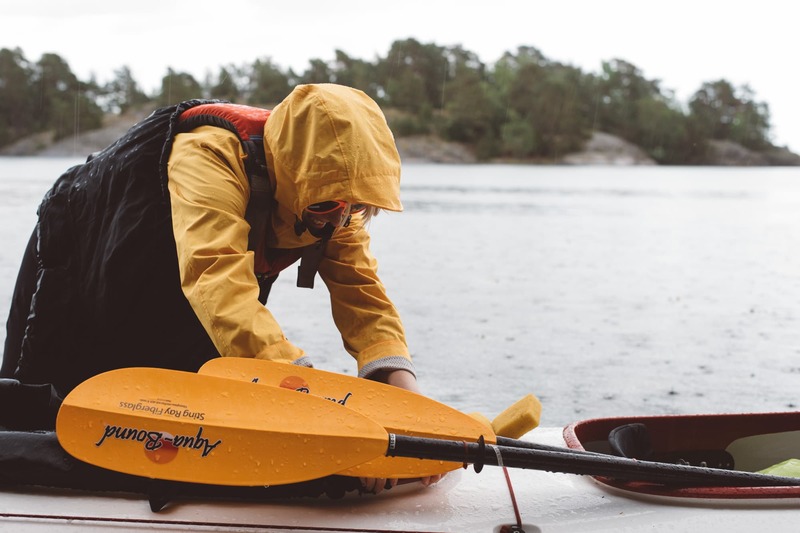 Paddle south through the tiny strait by Kråkmarö – a pretty and secluded area with lots of traditional summer houses, aiming for Gubbö. Climb to the top of the hill on Gubbö and the old navigation mark that’s been used by seafarers for hundreds of years. You’ll get a gorgeous view of the Gryt Archipelago, and White-tailed eagles are often seen soaring past. 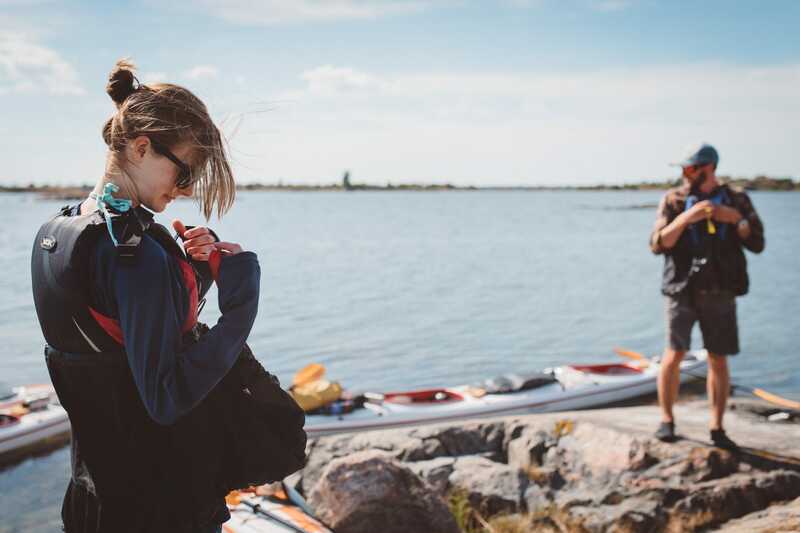 Continue south through the pretty islands around Laxvarp and assess whether you will take on a paddle to the Häradskär lighthouse. It’s an impressive place to reach, across very exposed waters! The last outpost of the archipelago right on the open sea. The only sounds you hear are bird calls and the rhythmic crashing of the sea against the smooth rocks. You’re as far out as you’re going to get and it’s absolutely beautiful! Your very last morning in this island wonderland. 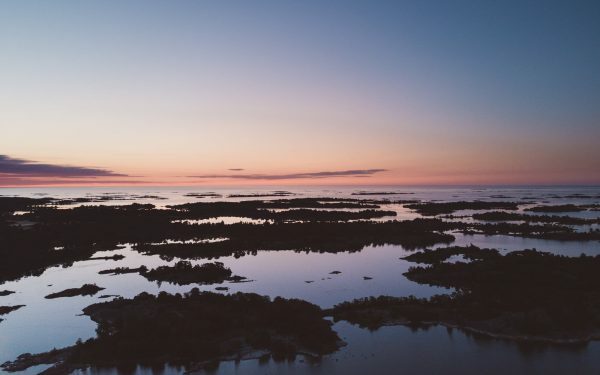 Zig-zag through the clusters of islets south of Fångö and up the eastern side to the abandoned copper mine. During the 1800s, Fångö was a prominent site for mining copper and there are many remains from this era – deep mining shafts, house foundations and massive piles of waste rock. Round the island and paddle through a narrow canal that takes you opposite Fyrudden. After crossing a small strait, you reach the mainland and the endpoint of your journey. Unload your kayaks at the dock, check out the marina, enjoy some ice-cream, and start reminiscing. 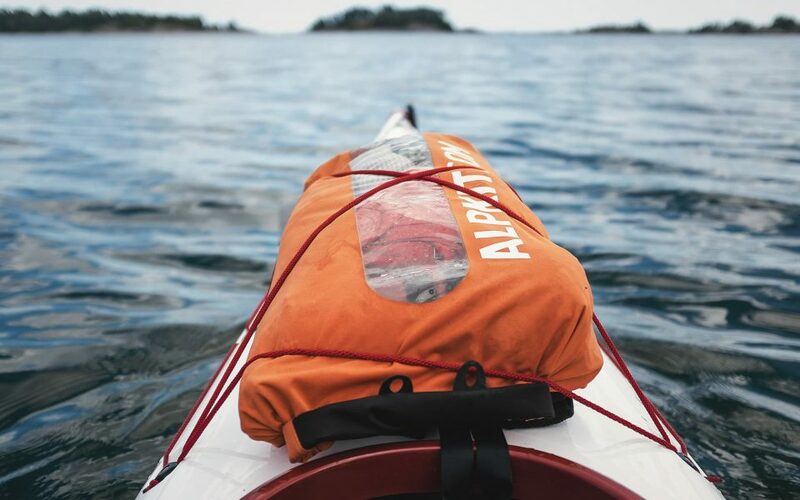 You just completed an amazing kayaking expedition all alone in a truly wild coastal landscape! *Weather conditions will effect your route. 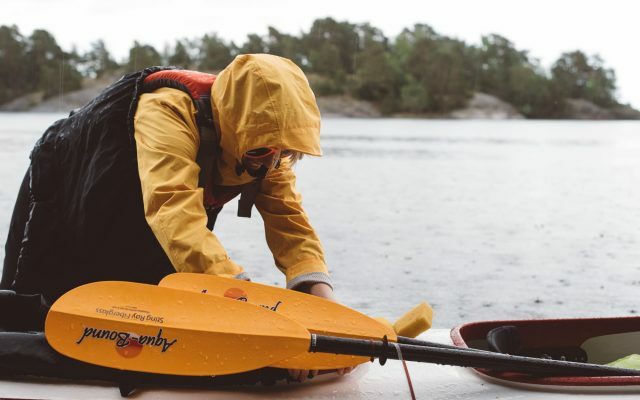 This example includes some strenuous outer archipelago paddling – your route will be significantly easier and more sheltered if you remain in the inner and middle parts of the archipelago. Establishments on Harstena are open June 21–August 29. Norrköping is the major hub of the area. We pick you up at 10.00, it’s a beautiful city to spend the night before your adventure. Our closest airports are Norrköping, Linköping and Skavsta, but you can also fly to Arlanda. Other great options are train or car. Taxi 10 mins to central Norrköping. Cost 140-170 SEK. Alternatively fly another airline to Munich. Taxi 10 mins to Linköping train station. Train to Norrköping 25 mins. Sweden’s main airport. Served by all major airlines. We’ll pick you up at the train station. Meet us at the launch in Saint Anna. Safe parking available. 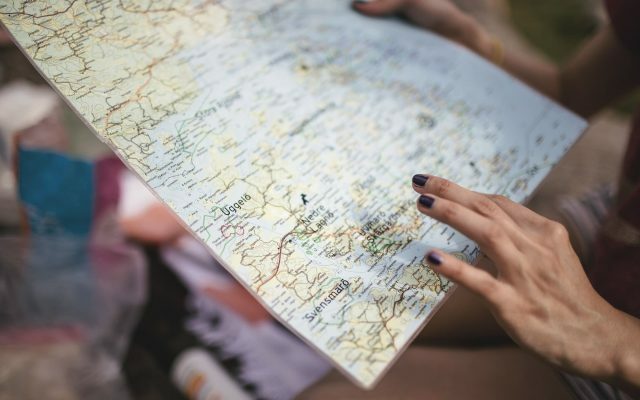 Whether you have your own or a rental from the airport, a car gives you lots of flexibility. 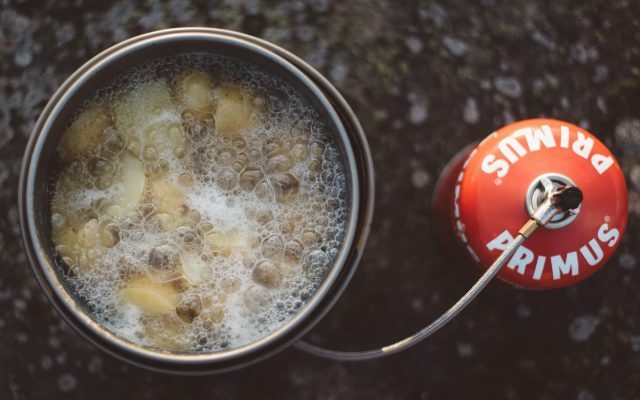 If you drive to Saint Anna, as well as shop your own food, we give you a 1,000 SEK price reduction per person. Aim for our closest town Söderköping. Pass the bridge “Lagnöbron“, and take a left after 500 meters by the sign for “Mons Friluftsby“. Take a right by the next sign for “Mons Friluftsby”. Drive through the campsite to the waterfront. Parking on the left. Mention Do the North for a 10% discount!